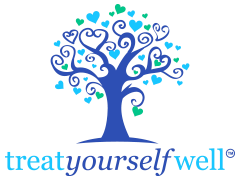 Treat Yourself Well Sydney is an established private psychology practice located in Balmain, Sydney with an additional room in Mosman. Our team of dedicated and experienced psychologists provide high level psychological assessment and treatment for a wide range of general issues including anxiety, stress, depression, and interpersonal problems. In addition to general psychological services, Treat Yourself Well Sydney has built a niche reputation in the treatment of eating disorders and non-diet approaches to body image, disordered eating, and weight concern. We are looking to expand our team and are inviting highly skilled and experienced professional psychologists to submit their application for a contract position. There is the opportunity for 2-3 days with the capacity to build further. There is also opportunity to work flexibly including evenings and Saturdays, and across Balmain and Mosman. Applicants will need to show clinical experience in generalist settings. Eating disorders experience and non-diet experience is desirable. We are a professional practice with a special atmosphere of compassion and warmth. Our team is dedicated to helping people to live the best life they can. If you believe that you are in line with our approach, please send a letter addressing your clinical experience and qualifications to Karen at essentials@self.net.au.